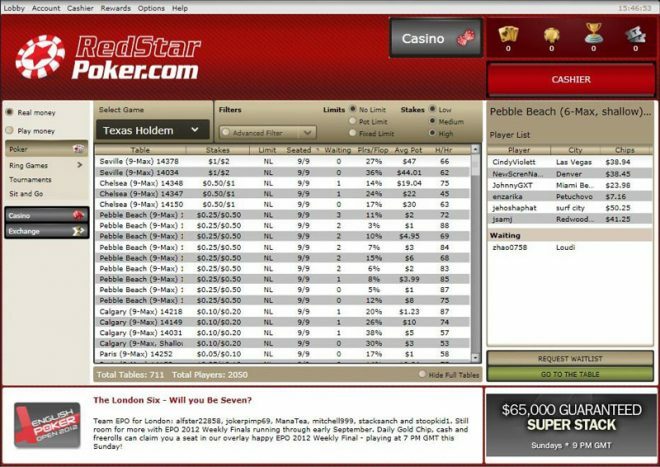 How big is Red Star Poker? 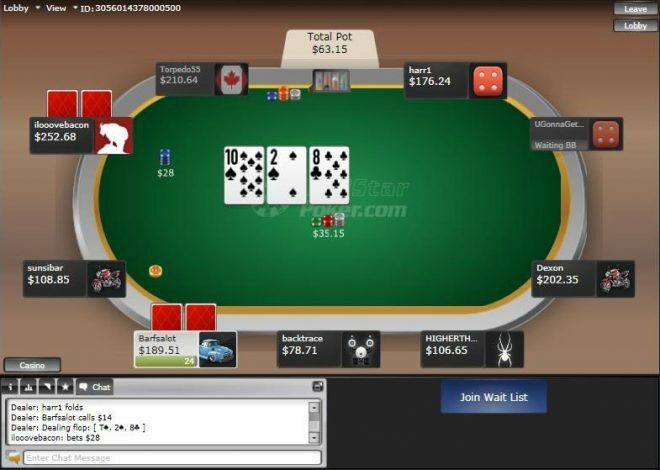 Red Star Poker boasts an 1,200+ peak time average online player pool and is a solid choice for multi-tablers. 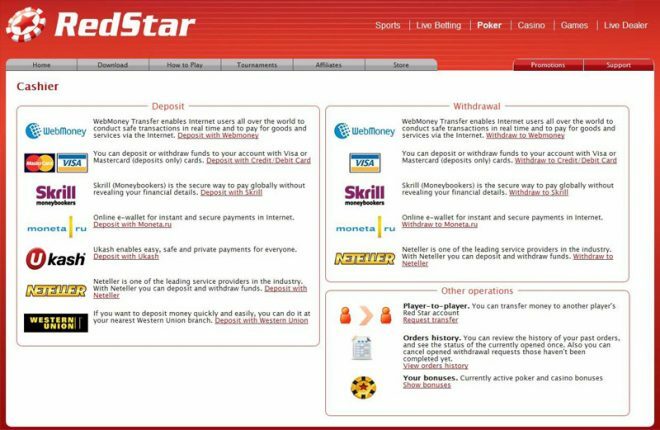 As a member of the Microgaming Network, Red Star Poker is part of one of the top 10 largest poker networks in the world. With flat 30% rakeback at Red Star Poker, small players can earn as much as big players. Playing four $100 NLHE tables for two hours a day will earn you over $500 per month. 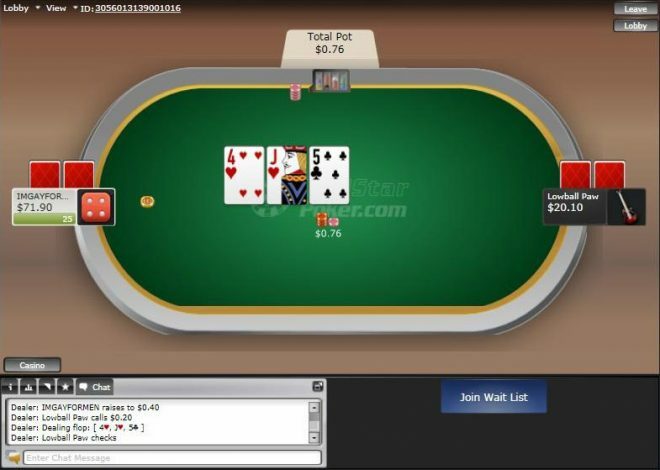 Welcome to Red Star Poker, the online poker room where all players receive 30% rakeback. All players who open a Red Star Poker account through Rakeback.com will receive 30% Red Star Poker Rakeback. This means that for every $1 paid in cash game rake and tournament entry fees, $0.30 is returned to your account. No matter if you play a little or a lot, you will receive 30% rakeback. All players will receive their 36% Red Star Poker rakeback payment directly into their accounts on a weekly basis. Once the funds are in your account, they are available for you to use. Payments are made on Wednesdays for all play from the previous week. Although a Loyalty Levels rewards program exists at Red Star Poker, using it negatively impacts the amount of your rakeback payments. This means that if you choose to purchase bonuses with your Red Star Poker points, the amounts will be deducted from your cash rakeback payments. In order to enjoy he maximum Red Star Poker rakeback you will need to ignore the Loyalty Levels system and simply accept the 30% payments. In other words – do not exchange points for cash, or other prizes in the Red Star Store. Simply wait for your 36% weekly rakeback payments to hit your account. At RedStarPoker.com, there is also a rewards program called Gold Chips & Gold Cards. Players can use the Gold Chips to exchange for cash, merchandise, or entry fees in tournaments. Players accumulate Gold Chips from the rake contribution and tournaments fees paid. For the Gold Cards, these are generated when you join games that involve real money. There is no particular player skill required since Gold Cards are awarded to randomly selected players. Players just need to virtually accept the Gold Cards in order to earn them. Gold Cards can be redeemed for cash, merchandise and tournament entries at certain times throughout the year. Excess Gold Cards can be traded from player to player via The Exchange, where the selling player will receive cash. Get daily 30% Red Star Poker rakeback now.